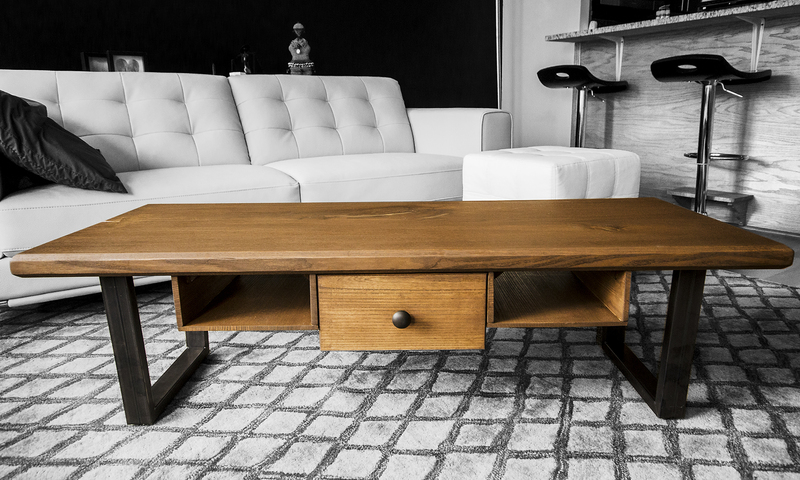 Made from a solid slab of local (Chicago) Elm, with a walnut stain. 1″x2″ raw steel tube legs. 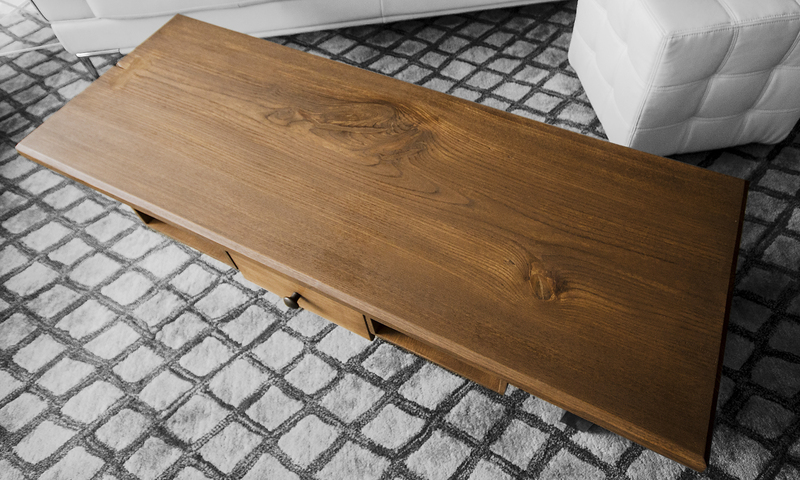 The drawer and shelving are also made from the same slab of elm. 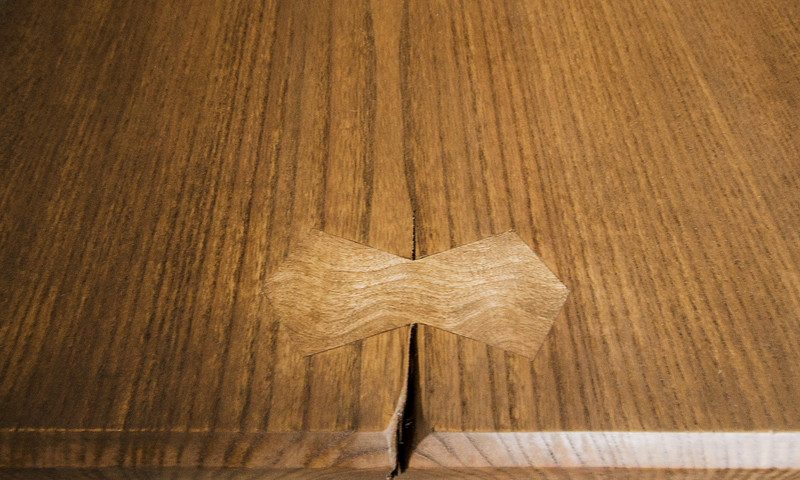 Figured American Cherry bow-tie on a stained Elm slab.